Perhaps spurred on by Samuel L. Jackson's accidental confirmation of Elizabeth Olsen as the Scarlet Witch yesterday, long-rumored frontrunner (get it? GET IT?) 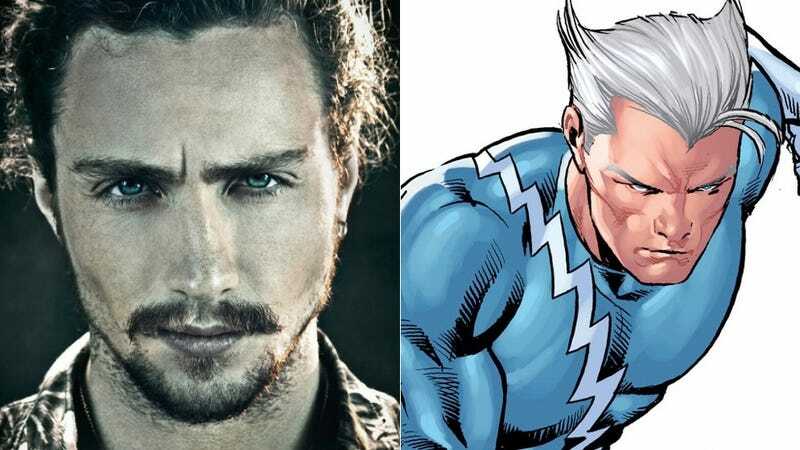 Aaron Taylor-Johnson has been confirmed as her brother Quicksilver in Avengers: Age of Ultron. Since basically the two people who have always been rumored to be most likely to get the roles now have the roles, this isn't Earth-shattering news. But I am curious about how the mutant Avengers (who cannot be called mutants thanks to Fox having a lockdown on the X-Men franchise) will be portrayed. I'm not deadset on them having Eastern European accents — the rumor is that they'll have an English accent, but I have no idea how valid that is — but I'm going to be weirdly upset if Quicksilver isn't rocking his silver hair.